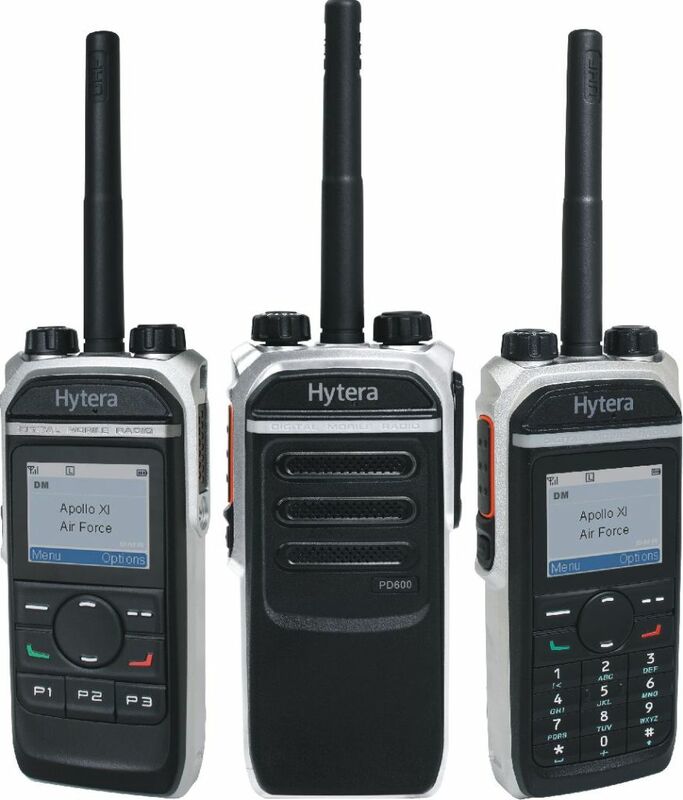 PD6xx series radios is a medium level of Hytera DMR devices. We can put them between described PD505 and PD705. Heavy duty (compact metal housing), small size and i lightweight design… Almost like X1e. Clear thing is that although the same dimensions as X1e, radio has different functionality. In the basic version is without GPS / ManDown, but there is no problem with getting version with both features. The first thing that strikes the eye is the PTT button on the right side (read: as at all;)). Due to the presence of the belt clip better than the X1 puts in the hand, but still it is not yet a feeling like by the PD785 … It is clear that the purpose of both devices is quite different, so the element is provided purely for information. As in the case of PD505, there is only one side dual-function button available. A little bit, but due to the dimensions you can not expect anything more. Surely it should be noted that compared to the PD505 we have no longer to deal with a simple hinged cap – by PD605 has been applied robust accessory connector, familiar with the X1 series, so that we obtain standard IP67. Radio passed tests conducted by me with swimming in the creek mountain. Of course, like every time, good audio quality, both the speaker and evaluated by the correspondents. 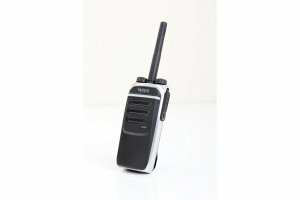 The radio has full functionality for analogue and digital DMR communication. Although from my radioamateur point of view PD605 suitable medium to use for amateurs, whereas in the case of services or companies that do not have a large number of channels within their work, it will check well. I miss the display and keyboard, but on the horizon there is already a newer model, or even two: PD665 and PD685. I look forward to the moment when I could get them to play more than 5 minutes. And for the final I have curiosity: I’ve already mentioned the belt clip and small dimensions. 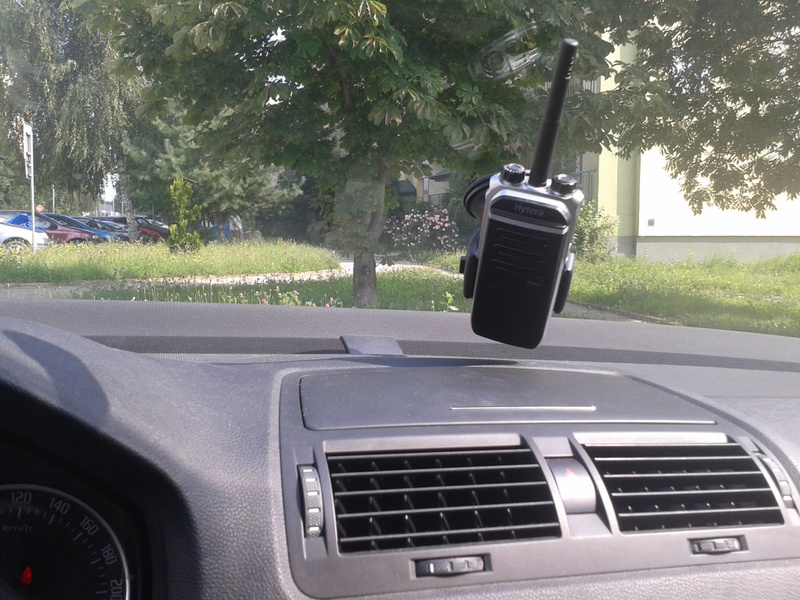 Radio is ideally suited to pu into a mobile phone holder. Neither of PD505, nor X1P (I won’t mention about PD7x5) I was not able to insert the radio. It has become possible, and pleases the eye;) So if I get the version with display and keyboard, I’ll be in seventh heaven! That’s all folks. Soon will be available mentioned above models of DMR radios. I hope also to get possibility to make some tests of new mobile radio from Hytera – MD655, which is similar to Cobra 75 WX CB radio 😉 So stay tuned for next eposide of BlogRadiowy.pl!